CEA-LETI, the Laboratory for Electronics & Information Technology is operated by Direction de la Recherche Technologique at CEA, the French Atomic and Alternative Energy Commission. It mainly aims at helping companies to increase their competitiveness through technological innovation and transfer of its technical know-how to industry. Major player in the MINATEC Micro-Nano technologies innovation center, CEA-LETI benefits from 8000 m2 state-of-the-art clean rooms, with equipment worth some 180 million euros. It is currently employing some 1800 people among whom 1200 CEA employees and co-workers of various status including 100 people from industrial partners, working in the CEA-LETI premises within the framework of bilateral collaborations. Overall, research contracts with industry are worth 75% of CEA-LETI annual income. It has a very important patents portfolio, and filed last year more than 200 patents and 700 publications. The laboratory is structured into six departments, with a specific department operating 24-7 the technological facilities of the silicon technology platform, and five program-oriented programs covering the field of microelectronics, microsystems, optronics, sytem design and telco, and technologies for bio and health. Emilio Calvanese Strinati obtained his Engineering Masters degree in 2001 from the University of Rome ‘La Sapienza’ and his Ph.D in Engineering Science in 2005 on Radio link control for improving the QoS of wireless packet transmission. He then started working at Motorola Labs in Paris in 2002. Then in 2006 he joint CEA/LETI as a research engineer. From 2007, he becomes a PhD supervisor. 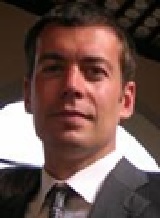 Since 2011 he is the Smart Devices & Telecommunications European collaborative strategic programs Director. E. Calvanese Strinati has published around 70 papers in international conferences and books chapters, and is the main inventor or co-inventor of more than 50 patents. He has organized more than 30 international workshops and special sessions on green communications and heterogeneous networks hosted in international conferences as IEEE GLOBECOM, IEEE PIMRC, IEEE WCNC, IFIP, and European Wireless. 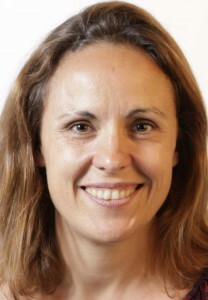 Dr. Calvanese Strinati has been the co-chair of the wireless working group in GreenTouch from April 2010 to January 2012. Since 2012 he is the strategy director of the Smart Devices & Telecommunications Strategy Program Director and in 2013 he has been elected as one of the 5G PPP steering board members. Andrea Vassilev received his mechanical engineer degree in 1996 from Ecole Centrale de Lyon, France. From 1996 to 2001, he worked at PSA Peugeot Citroen, as a mechanical simulation engineer. He has been with CEA-LETI, Grenoble, France, a research institute for electronics and information technologies, since 2001. Ms. Christelle Godin received her M.Sc. degree in Signals, Images and Communications from University P. Sabatier, Toulouse, France, in 1996 and her Ph.D. degree from Supaero, Toulouse France in 2000. In 2001 she joined the CEA-LETI where she works on sensor systems for smart objects. Her fields of interest are Signal Processing and Machine Learning using MEMS and Magnetic Sensors, Motion Capture, Artificial Tactile Sensing, Affective computing. Bernard Strée is an engineer in Biochemistry and Biotechnology of the National Institute for Applied Science, Lyon, 2003. Since then, he has been involved in the management and coordination of several European projects in the field of research and innovation. He was leading the French participation in the ERA-Net Plant Genomics from 2005 until 2007, he submitted and coordinated the Interreg IVC project PERIA dealing with SME innovation support within regions for 3 years from 2010. In parallel, he supported mainly SMEs and university labs in participating in FP7, ERA-Nets and H2020 projects in several areas. He joined the CEA LETI in December 2014 to strengthen international collaboration of the Sensors and Electric Systems Division in particular through EU programmes.